Isn’t the Internet handy? It gives us the ability to access free information from virtually anywhere, even from our pocket-sized super computers, formally known as cell phones. But what’s even greater than the free information is the universal access to our personal accounts for email, banking, and social networking from just about anywhere. 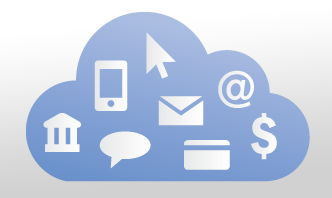 The impact of cloud computing is not limited to your personal life, though. Businesses use the cloud to manage critical operations such as customer relations, long-distance meetings and payment processing. According to a recent study from Parallels, small businesses invested $15.1 billion dollars in cloud-computing services in 2011, and based on a compound annual growth rate of 26 percent, that number is expected to reach $68 billion worldwide by 2014. So what does this forecast mean for your business? Because cloud service companies take on the security burden and data storage costs on a mass level, IT overhead for small businesses is less than if they were to set up these systems. “SMBs really want easy access to enterprise-level functionality with a low cost to entry,” said John Zanni, Vice President of Service Provider Marketing for Parallel. The study cites smaller budgets as one of the key reasons small businesses are adopting cloud-based services at such a rapid rate. As more services like data storage, payment processing, and website management are made available in the cloud, costs will continue to decrease. And, since the cloud caters to the remote access of information, you’ll gain opportunities to update your website from home, do your billing on the road, or accept a payment on your mobile device. Small business service providers like credit card companies and banks will also feel the demand from their account holders to provide cloud-based services; be sure to keep an eye out for new offerings from your own network of providers. So, the next time you check your personal account balance from your phone but ask your customer to mail you a check for payment, remember that the sky is the limit for cloud-based suites that offer small businesses all of the conveniences of personal and enterprise-level platforms.